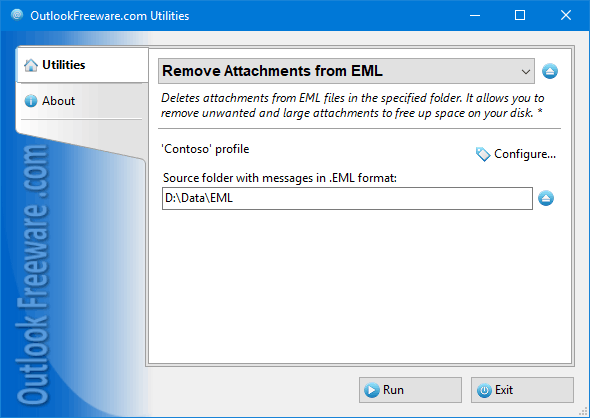 This free utility removes attachments from email message files in EML format. It allows you to remove unwanted attachments from EML files, such as viruses, executables, photos, videos, audio, or duplicate files. The tool preserves the original formatting and any additional message data, such as the sender, recipients, and Internet transport headers.